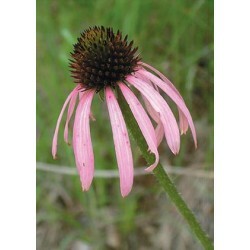 Pale Purple Coneflower is a 2' to 3' tall native perennial that is tolerant of drought, heat, and poor soils. It is easily established from seed and prefers dry to medium soils in full sun, but will tolerate part shade. The showy 3" wide flowers feature coppery-orange center cones and sharply drooping pale-purple ray flowers. This is a beautiful garden flower, especially for droughty sites. 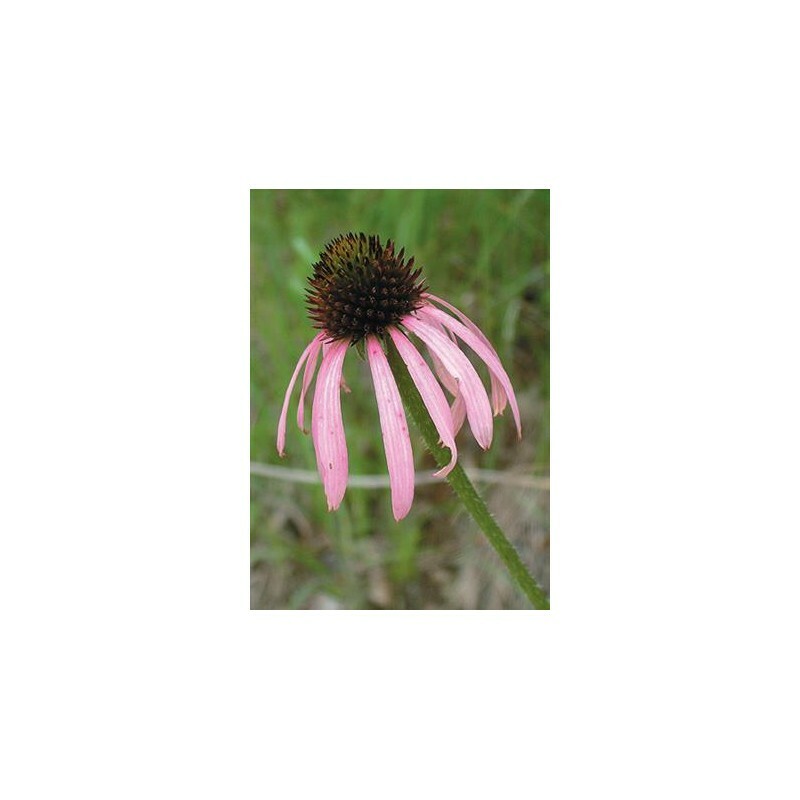 The plant freely self-seeds and is commonly used in borders, native plant gardens, mixed perennial gardens, wildflower meadows, and wildlife habitat mixes. 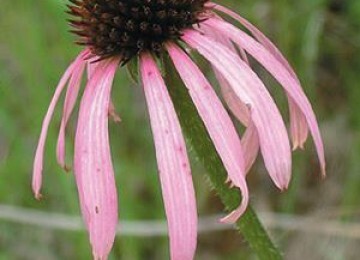 Two plants have the common name Pale Purple Coneflower, Echinacea pallida and E. simulata. The only difference is that E. simulata has yellow pollen and E. pallida has white pollen. Most data and research ignores this difference. This plant is extremely widely used in herbal medicine.